Pence is certainly a good match for Trump when it comes to hateful speech. Mike Pence, Donald Trump's running mate in this year's presidential election, published articles urging employers not to hire gay employees while he was head of the Indiana Policy Review in the 1990s. One such article published during Pence's tenure reads: "Homosexuals are not as a group able-bodied. They are known to carry extremely high rates of disease brought on because of the nature of their sexual practices and the promiscuity which is a hallmark of their lifestyle." Pence also argues in the piece that homosexuality is a "pathological condition." Read the full article here. Pence has also fallen under scrutiny for publishing work in 1993 criticizing gay military members. 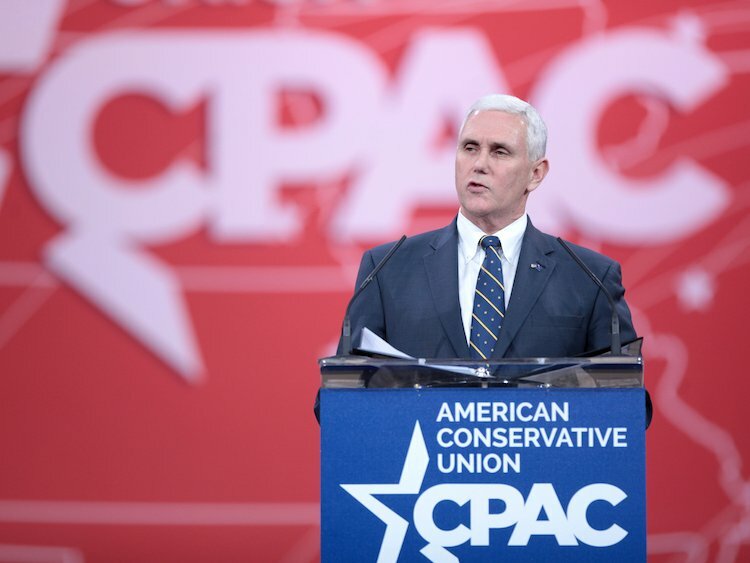 Last year as governor of Indiana, he signed the "Religious Freedom Restoration Act," which allows companies to discriminate against LGBT employees and customers based on firmly held religious beliefs. And he's proposed cutting funding for HIV treatment and using the money for "gay cure" therapy.